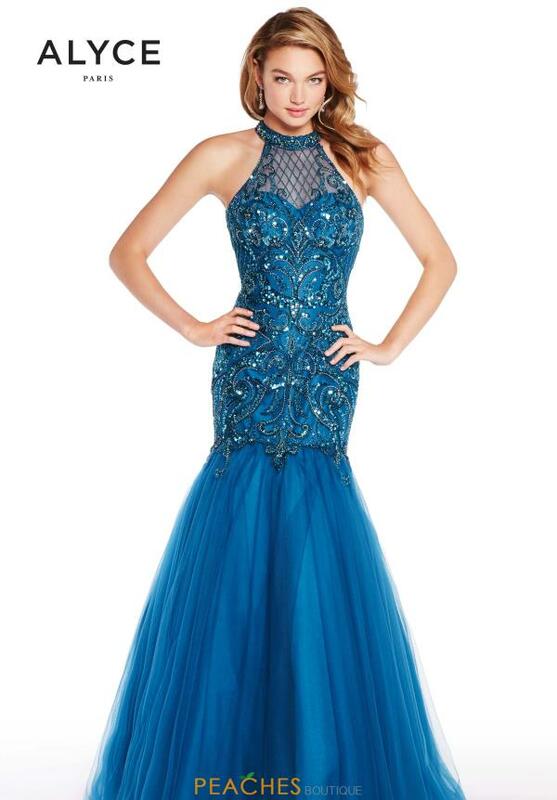 Available in beautifully unique colors, this mermaid ensemble by Alyce Paris 60232 is sure to steal your heart. A classic halter neckline leads to a choker for a chic look, as opulent embellishments drape whimsically along the silhouette for a sparkling look. A straight mermaid skirt is the finishing touch along this look. Check out more mermaids at Peaches Boutique in Chicago.